Over the last week I have been working on this Ping Pong Paddle which I call the ‘Butterfly Tree.’ I began by cutting the tree pattern and inlaying it into the background; I found out this takes a lot longer than I thought being that it is only one piece! 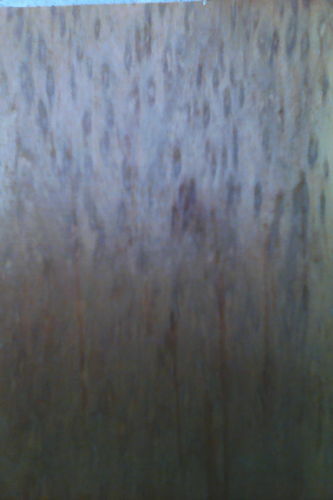 The paddle is constructed of mahogany for the main tree section, walnut for the main paddle background, olive for the handle grips, and birds-eye cherry for the butterflies. The reason for the different than normal shape of the handle and its grips is that I designed it to custom fit my hand. Overall I would say it was a fun, challenging project that turned out to be more of, in my opinion, a functional, work of art. Thanks for looking! That has got to be the most beautiful ping pong paddle I’ve ever seen! I’ve also never even heard of birdseye cherry. Got any pics of a bigger piece? That paddle has gotta make you smile every time you pick it up for a game. Thanks for sharing! 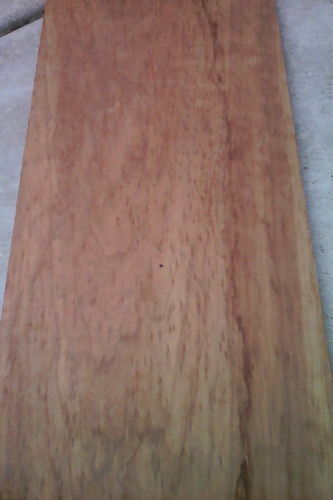 Heres two pics of the birds eye cherry board; sorry if they aren’t that great. Thanks for the comment and I have really been enjoying using the paddle so far! Thanks! Thanks for the pics, Dale!